Number of Vacancies : The number of vacancies to be approximately 1079 which include 34 vacancies reserved for P.H. Category, i.e. 14 vacancies for LDCP, 7 Vacancies for B/LV and 13 Vacancies for H.I. 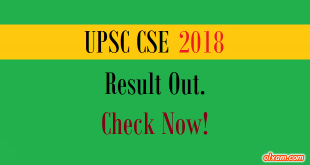 *Eligibility Details : The candidate must hold a degree of any of Universities incorporated by an Act of the Central or State Legislature in India or other educational institutions established by an Act of Parliament or declared to be deemed as a University Under Section-3 of the University Grants Commission Act, 1956, or possess an equivalent qualification. 1- The candidates will be shortlisted on the basis of Preliminary and Main examination.